Terry is an implementation consultant for rfxcel whose mission is to provide a reliable track and trace solution for Manufactures, Re-packagers, Wholesale Distributors, and Dispensers. He has over 35 years of IT experience and a diverse serialization implementation background with small to large companies. Terry is dedicating his IT expertise in the pharmaceutical track and trace systems for a seamless implementation process and a reliable system to meet global compliance requirements. Terry works with rfxcel ensuring that prescription medicines can be traced back through the supply chain and that companies who produce, store, deliver and dispense them are accountable for their quality. 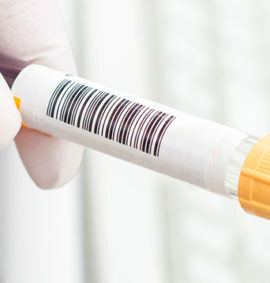 Terry has implemented serialization, and track and trace systems for large and small companies. From processing thousands to millions of serial numbers, and from integrating with one to thousands of trading partners, Terry has dedicated himself to understanding track and trace technology and how it transforms the pharmaceutical supply chain.